It dawned on me, earlier today, that current decline in radio and all traditional media in general, is no coincidence. When the radio consolidations took place ten or so years ago, the first thing that was almost always cut or eliminated was the news room. Along with that, local programming in general was reduced or replaced with automation. This, in turn, leads to a bland, uninformative product that the general public doesn’t really care about. Local newspapers have all but disappeared too. The remaining ones are owned by one of several large newspaper holding companies like Gannett, Newscorp, Hearst, and Tribune. In a similar to radio scenario, local papers were bought up by these companies, news room staffs were cut, quality of content declined, readership declined accordingly. Rinse, repeat until the paper is nothing but a shell of it’s former self, filled with mostly used car ads. But isn’t the internet the cause of all this? No, the internet and the so called “new media” are filling a void left by the hollowed out old media. New media, which often relies on people who may be well intended, but do not have the training in investigative journalism, often lacks credibility when it really counts. Unfortunately, it is easy to search the internet and find articles that lack any type of referenced source material or have other technical problems that call into question the authenticity of the material. Much of this could be corrected with the right links or posting of original documents to back up the story. This is an often pointed to weakness with internet sources of information. There are, however, some outstanding new media outlets, from some surprising locations. Media company A wants to buy some or all of media company B. They go to a bank to get a loan. After much negotiating and back and forth, the bank agrees to give A the loan, under certain conditions. Those conditions include continued performance, annual revenue growth and periodic audits. In a buy or be bought world, their is no other alternative for A, but to agree with those conditions. Media company A now needs continued credit to continue to operate their business, this is what happened during the great consolidation, not only of radio, but TV and Newspapers as well. If and when the conditions of the loan look like they are not being met, the bank sends out it’s representatives to talk to the owners of media company A. News rooms are cut first as news is labor intensive and does not make any money. Slowly, the rest of the staff is reduced or has their pay and hours reduced. It is thus that the large banksters have gained control of much of the “traditional” media in this country. They have sought to steer the free press into oblivion, substituting, instead, the corporatist media outlets we see today in NBC, ABC, CBS, MSNBC, CNBC, Foxnews, as well as the above mentioned newspaper holding companies. While skimming over general news items, much of the important news of the day goes unreported. Things like the Fed’s latest round of quantitative easing (QE3), the ever expanding role of TSA, the unauthorized nature of the Libyan adventure and the possible ties to Goldman Sachs, the continuing nuclear release at Fukushima, FDA approval of GMO seeds, the FCC’s revolving door employees, ever increasing amounts of police brutality, etc are under reported or not reported at all. We are being fed with little bits of over simplified, unconnected and or incomplete information which only fits the narrative the so called news organization is putting forward. Deviation from the narrative rarely occurs and only under the most unusual circumstances or by accident. The answer is, of course, to support those independent media outlets that are still around. The independent radio stations, TV stations and newspapers as well as those on line news sources and aggregators that do a good job getting the story out need to stick around. It would also help to increase the numbers of independent, non-conflicted (interest wise) sources of information. I would suggest that everyone do a little bit of digging around and find out who, in their own neck of the woods, is an honest source of local news. If there is not a local independent media outlet, consider starting one. 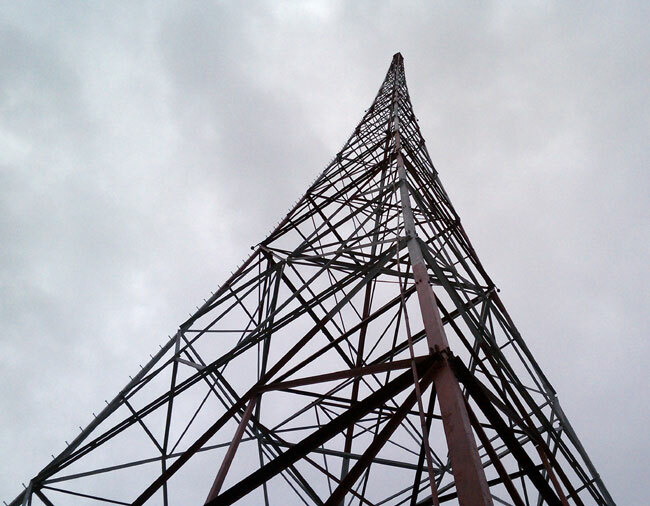 The new LPFM rules are still being worked on, the FCC has promised to speed this along, which means we should see something in the next five years or so. While we wait, consider blogging or teaming up with a group of people to launch an online news site. While I have been blogging for several years, I have learned one very important fact: People love the truth. That is the surest formula for success, tell the truth and back it up with valid sources and documentation. I know many people in the radio news business that, if asked, would be happy to give some pointers on local news gathering. One thing is for sure, we can no longer sit around and wait for someone to do something. If we are to change the course of this country, each and every one of us needs to contribute.